In its 3 decades of existence, Remarkable Book Shop made a remarkable impact on Westport. As Mitchells celebrates its 55th anniversary, we marvel that the 4th generation of family members waits in the wings. But those 2 town institutions have the life spans of fruit flies, compared to Gault. Westport’s oldest family-owned business is 150 years young this year. You want a historical reference? It was founded two years before Abraham Lincoln won his battle to pass the 13th Amendment. You know — that ancient event Steven Spielberg is about to win multiple Oscars for. On Thursday, the company will kick off a year-long anniversary celebration. They’ll find many ways to honor their heritage — moving from a one-horse and wagon hauling enterprise, through freight hauling, grain threshing, seed supplies and lumber to coal, masonry supplies, home heating oil, and now biofuel, propane, electricity and standby generators — along with their century and a half of commitment to Westport. While the details of the “150 Years of Community” celebration are hush-hush, one item is significant. The press event will be held at the Gault family’s historic Compo Road South barn. That’s where the Connecticut Trust for Historic Preservation will announce that the Gault Barn — actually 3 barns, built from 1890 to 1913 — will be added to the State Register of Historic Places. You’ve driven past the barns a jazillion times — they’re on the right, a half mile or so from the Post Road as you head to the beach. But you may not know — I sure didn’t — that they are historic structures. Their timber frame construction reflects the building traditions of American farming. The barns have endured since the time when wagons gave way to automobiles. That was the early 20th century — and the Gault company had already been around as long as Mario’s has now been a Westport fixture. 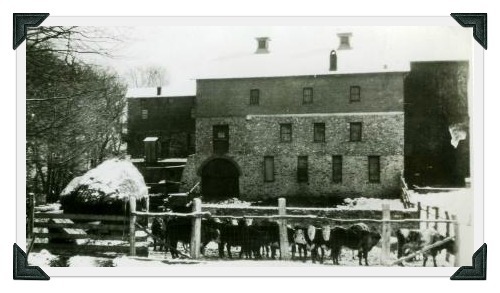 Beef steers by the Gault barn, winter of 1930. The Gault barns are prized by historians and curators for their architectural bones and historical narrative. They’ve been lovingly preserved and maintained. In fact, says the Connecticut Trust, they’re among the Top 10 historically significant barns in the state. Big deal. The Gault family — and their company — have been #1 in service to Westport for decades longer than those barns have even existed. This entry was posted in History, Local business, Looking back, People, Places and tagged Connecticut State Register of Historic Places, Connecticut Trust for Historic Preservation, Gault Energy, Mario's Place, Mitchells of Westport, Remarkable Book Shop. Bookmark the permalink. The extended Gault family plays not only an important role in the economic life of Westport, they play an important civic role, as well. They are admirable people and wonderful neighbors who exemplify the best of New England values. Congratulations to them on their 150th! Grew up on South Compo just around the bend from the barn. They were always good neighbors. Part of the best that is still Westport. That back-side view of those barns is incredible (the pictures don’t do it justice). I’ve taken many clients to see it while giving private garden tours. Craig Logan told me years ago about it. Bill and Sam Gault are part of what makes Westport special. Correct. I’ll make the change in the caption now. Thanks! But on that note, what do they still use the barn for? I always see the Gault trucks parked in front. Congratulations to the Gaults for their forward-thinking acumen in putting this important landmark on the State Register. Westport has lost so many of its treasures to the wrecking ball. This is a real 150th birthday present to the town. Hooray for the Gaults. The free market has more power than the potential of making the State Register. It’s a simple matter of economics; money speaks. Embrace it, baby! It’s where Estelle keeps her cache of BB guns that have a 100 round magazine. Haven’t you seen the Wal-mart trucks pulling in and out? Hard for Estelle to make up her mind between the barn and an RTM meeting….both loaded with cow manure. she’s been tossed out of both. WalMart loves her, though. Patty Hearst and Estelle…..twins separated at birth….. I had an interesting conversation a few years ago with one of the Gault girls who was telling how all the names of the streets came about. Would be another fun article and a bit of history to be captured. Congratulations Bill to you & your son & your deceased family. What respect, honesty & courtesty to the town & their customers. I was one of them until I moved out of state. Bill was in my class at Staples. Talk about class & humility they have it all. I lived on Gault Park Drive throughout my middle and high school years. Always wondered where the name came from. Have since been out of Westport for the past 25 years but love reading this blog and all the great and not so great stuff going on in my home town. hey Jim, I made a few mistakes posting. So I can’t read…..I’m old! In 1987 the National Trust established the Barn Again! program to assist and encourage people to preserve historic barns. This program acts as a clearinghouse for information, training, and advocacy for the preservation and adaption of historic barns. 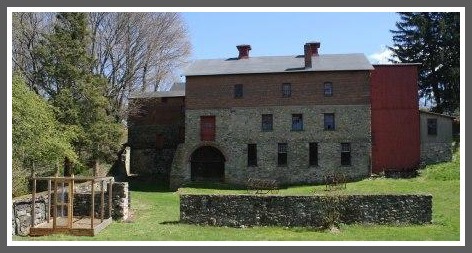 The third Phase for Historic Barns of Connecticut is an interactive site where research can be submitted and reviewed by staff architectural historians. The site will be the only one in Connecticut that will provide historical and technical information on barns. As part of my research on the Fitzgeralds for One Book/ One Town, I found that Frederick Lewis, the owner of Longshore had the Gaults build an enormous pier for his yacht. Barbara Probst Solomon, in her historical account of Westport, contends that the dock was the model for Gatsby’s pier as did Lewis for a partial model of Gatsby . According to my late great mother, in 1942 Longshore was on the drawing board to be taken over by the USN and converted into a seaplane base for sub-hunters. Residents of Compo Parkway fought it in court (and won) because they would be directly beneath the planes as they made their final approach to land and take-off from the bay. Can’t have fighting the war get in the way of creature comforts; now that is typical Westport. The Vermont Division for Historic Preservation has had a 50/50 matching grants program to assist owners of historic agricultural buildings (barns, corn cribs, sheds, grist mills, etc.) since 1991.